Use this flush cut tapered sealant cutter to remove adhesives, soft caulking, silicone or any other gummy material away from a desired work surface. The long sharp knife edges on both sides are quite capable of deep separation of bonded materials. The M053 Flush Cut Tapered Sealant Cutter is excellent for the penetrating removal of silicone caulking or soft adhesives. 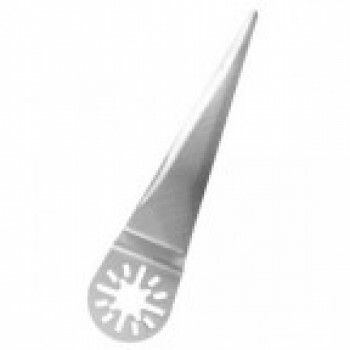 The flush cut profile and long sharp edges on both side allow this blade to cleanly cut free and remove pliable materials away from a base surface.